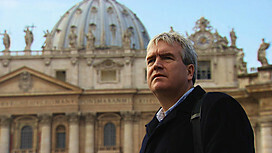 Darragh MacIntyre (above), the reporter who put together last night’s The Shame Of The Catholic Church documentary for BBC 2, interviewed on Newstalk’s Breakast by Michael Clifford. Clifford: “OK. Now just to touch on this last element Darragh, because I think this is quite important. The second boy you referred to, the boy from Cavan. He was interviewed, without his parents’ knowledge and what he revealed in that inquiry to Sean Brady was never told to his parents to the best of that boy’s knowledge. 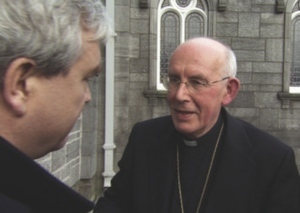 Posted in Misc and tagged Cardinal Sean Brady, Darragh MacIntyre at 11:56 am on May 2, 2012 by Broadsheet.